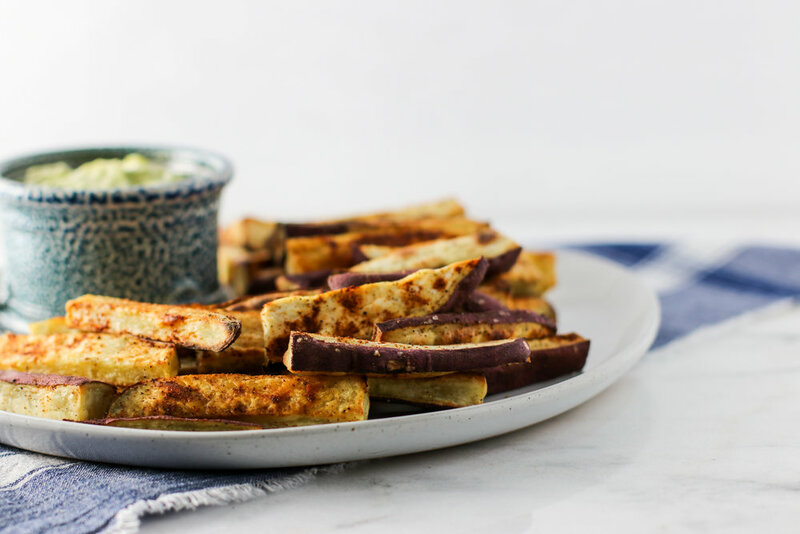 Japanese Sweet Potato Fries with Lemony Avocado Tahini Dip — Erin Parekh | Live Well, Simply. Sweet potatoes. Avocado. Tahini. If only I could have found a way to add dark chocolate to this recipe too! But seriously, if you're looking for a fun spin on guacamole for your big game plans this weekend, I've got you covered. This dip is bright, flavorful, super creamy and just different enough. I paired it here with sweet potato fries (because I'm me), but it'd be equally delicious served with crackers or sliced veggies. Toss cut sweet potato with oil, salt, and pepper. Roast for 25-30 minutes until golden brown and easily pierced with a knife, tossing halfway through. For the dip, add avocado, lemon juice, salt, cumin, cilantro, tahini, and a tablespoon or two of water to a blender or food processor. Pulse and then blend until the mixture is smooth and creamy - adding an additional splash of water as needed. Taste and adjust seasoning to your liking (more lemon, salt, or cumin). 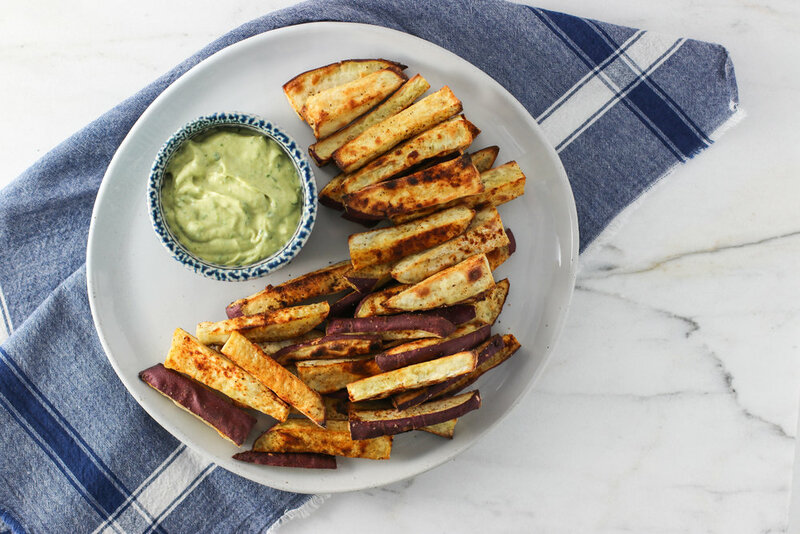 Serve with warm sweet potato fries and any other dipper of choice.